Another great benefit for our Chamber members! Want new Customers? 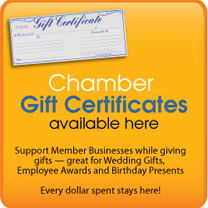 Call us at 815-568-6680 to include your special member offer and we will list your business here. This promotional program is available to Marengo-Union Chamber of Commerce Members Only.